The winners of the 8th CUP awards are known. The jury led by Michael Conrad, President of the Berlin School of Creative Leadership, gave The Grand CUP to Heimat Berlin for The Hornbach Hammer. 36 CUPs were also granted to the best and most creative Ads of 2014 that competed at the 8th CUP. The winners of the brand new steel CUPs were revealed for the first time yesterday at the 8th Summit and Intercontinental Advertising Cup Awards held in Ljubljana, Slovenia. The Grand CUP went to The Hornbach Hammer, the campaign created by German agency Heimat for DIY superstores Hornbach. This chain of superstores doesn’t just sell products, but supplies passion for their customer’s DIY projects. 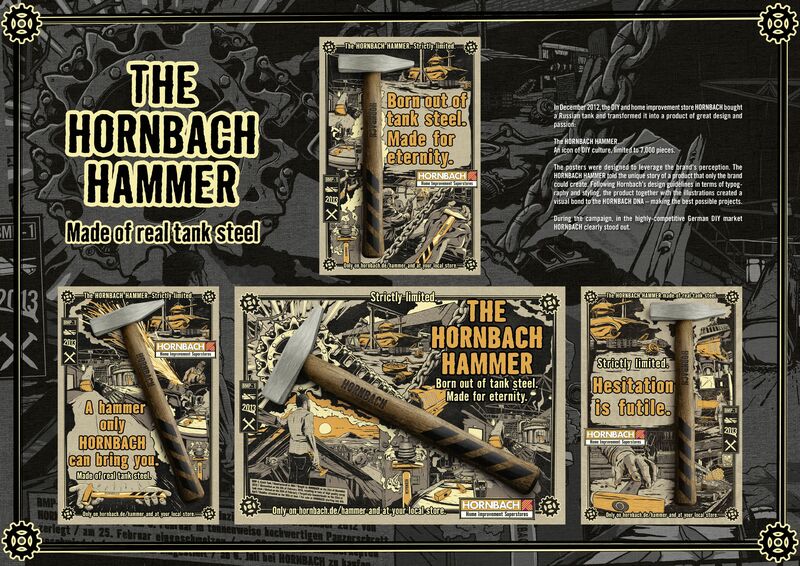 To manifest this, Hornbach forged that passion for DIY into a product, a tool that’s mandatory for every DIYer, a hammer. The campaign represents the journey of the hammer, how it became a symbol, as well as the hype that followed. Guido Heffels, the Founder and Creative Director of Heimat and the member of the 8th CUP jury proudly picked up the award on stage on behalf of the whole creative team. 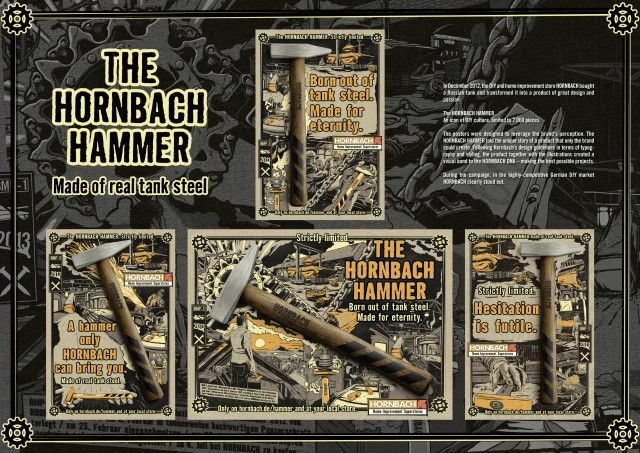 Next to winning the Grand CUP, The Hornbach Hammer also won in the categories Best of Retail, Best of Strategy and Best of Campaign. Creative pieces that were also multiple winners with 3 or more CUPs were Taproot India’s campaign for The Times of India Farmer suicide that won in Best of Social Engagements, Best of Press, Best of Craft and Best of Local Culture and Dentsu’s pregnancy diary that grows with the mother’s belly Mother Book that won in Best of Health and Personal care, Best of Publication and Best of Design.